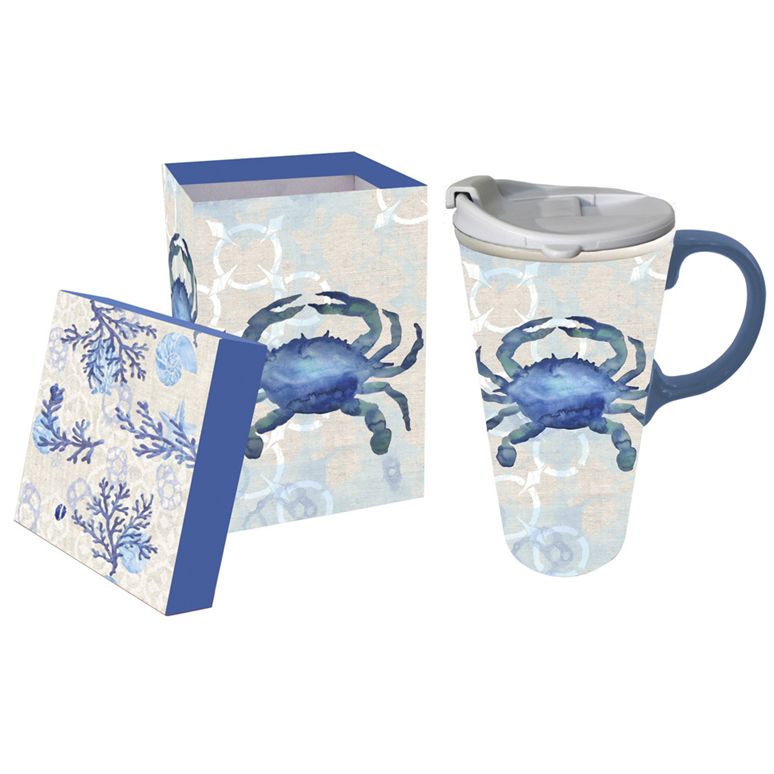 Make a statement in your kitchen with the By the Sea Ceramic Travel Cup, adorned with beautiful blue crab and circular medallions for a true beach feel. 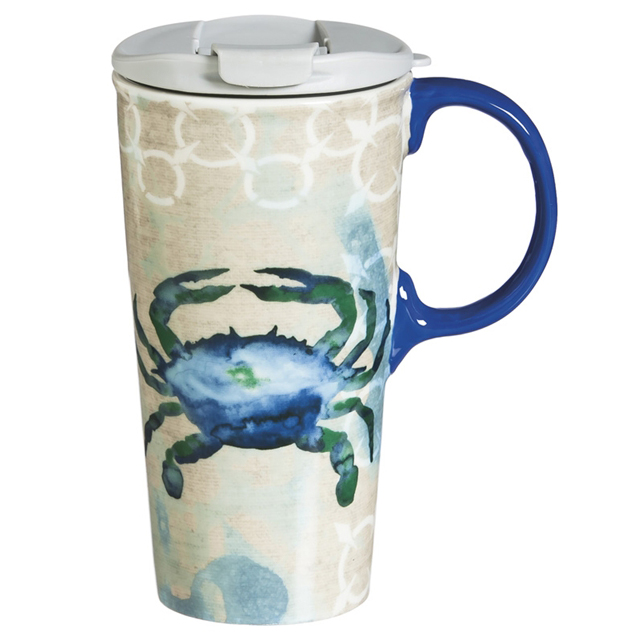 This coastal dinnerware ships from the manufacturer. Allow 1 week. Cannot express ship. For many more options, we encourage you to make time to look at our extensive array of coastal dinnerware at Bella Coastal Decor today.